by Chris Woodford. Last updated: December 5, 2018. Now you see it, now you don't! Do you ever have one of those days when the Sun doesn't know whether it's coming or going, prompting you to keep opening and closing your blinds so you can read the words on your computer screen or stop your furniture from fading? It won't be long before we consign that particular problem to history, thanks to the arrival of electrochromic glass ("smart" glass), which changes from light to dark (clear to opaque) and back again, at the push of a button. It's relatively simple, wonderfully convenient (no more faded upholstery!) and has huge environmental benefits. How exactly does it work? Let's take a closer look! Glass is an amazing material and our buildings would be dark, dingy, cold, and damp without it. But it has its drawbacks too. It lets in light and heat even when you don't want it to. On a blinding summer's day, the more heat ("solar gain") that enters your building the more you'll need to use your air-conditioning—a horrible waste of energy that costs you money and harms the environment. That's why most of the windows in homes and offices are fitted with curtains or blinds. If you're into interior design and remodeling, you might think furnishings like this are neat and attractive—but in cold, practical, scientific terms they're a nuisance. Let's be honest about this: curtains and blinds are a technological kludge to make up for glass's big, built-in drawback: it's transparent (or translucent) even when you don't want it to be. Since the early 20th century, people have got used to the idea of buildings that are increasingly automated. We have electric clothes washing machines, dishwashers, vacuum cleaners and much more. So why not fit our homes with electric windows that can change from clear to dark automatically? Smart windows (also referred to by the names smart glass, switchable windows, and dynamic windows) do exactly that using a scientific idea called electrochromism, in which materials change color (or switch from transparent to opaque) when you apply an electrical voltage across them. Typically smart windows start off a blueish color and gradually (over a few minutes) turn transparent when the electric current passes through them. Photo: Electrochromic glass changes color under electric control: Left: Here it's transparent and looks much like ordinary glass; Right: Apply a small voltage and it turns opaque (blueish and dark). Photos by Warren Gretz courtesy of US Department of Energy/National Renewable Energy Laboratory (DOE/NREL). How does electrochromic glass work? Ordinary windows are made from a single vertical pane of glass and double-glazed windows have two glass panes separated by an air gap to improve heat insulation and soundproofing (to keep the heat and noise on one side or the other). More sophisticated windows (using low-e heat-reflective glass) are coated with a thin layer of metallic chemicals so they keep your home warm in winter and cool in summer. 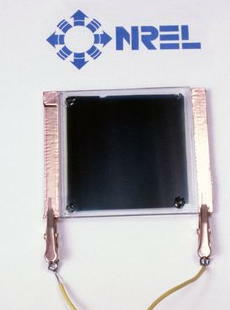 Electrochromic windows work a little bit like this, only the metal-oxide coatings they use are much more sophisticated and deposited by processes similar to those used in the manufacture of integrated circuits (silicon computer chips). 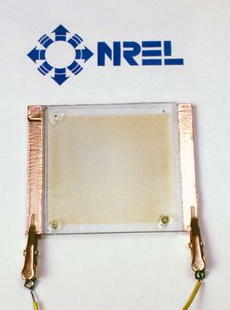 Although we often talk about "electrochromic glass,"	a window like this can be made of either glass or plastic (technically called the "substrate," or base material) coated with multiple thin layers by a process known as sputtering (a precise way of adding thin films of one material onto another). On its inside surface (facing into your home), the window has a double-sandwich of five ultra-thin layers: a separator in the middle, two electrodes (thin electrical contacts) on either side of the separator, and then two transparent electrical contact layers on either side of the electrodes. The basic working principle involves lithium ions (positively charged lithium atoms—with missing electrons) that migrate back and forth between the two electrodes through the separator. Normally, when the window is clear, the lithium ions reside in the innermost electrode (that's on the left in the diagram you can see here), which is made of something like lithium cobalt oxide (LiCoO2). When a small voltage is applied to the electrodes, the ions migrate through the separator to the outermost electrode (the one on the right in this diagram). When they "soak" into that layer (which is made of something like polycrystalline tungsten oxide, WO3), they make it reflect light, effectively turning it opaque. They remain there all by themselves until the voltage is reversed, causing them to move back so the window turns transparent once again. No power is needed to maintain electrochromic windows in their clear or dark state—only to change them from one state to the other. Animation: How an electrochromic window works: Apply a voltage to the outer contacts (conductors) and lithium ions (shown here as blue circles) move from the innermost electrode to the outermost one (from left to right in this diagram). The window reflects more light and transmits less, causing it to appear opaque (dark). The layers are very thin coatings added to a weighty piece of glass or plastic known as the substrate (not shown here, for clarity). Instead of placing a separator between the electrode layers, we can have an electrochromic material (a dye) that changes color when a current passes through it. That's similar to what happens in photochromic sunglasses, but under precise electrical control. We can use nanocrystals (an example of nanotechnology, which works on the atomic scale, roughly 1000 times smaller than what we call microscopic) in a broadly analogous way to let more or less light pass through a smart window. The smart windows we've looked at so far are generally installed as self-contained units: you fit an entire window with its specially coated glass at great expense. You can also get smart-window technology in a slightly cheaper form: manufacturers such as Sonte and Smart Tint® make thin, self-adhesive and stick-on electrochromic film you can apply to your existing windows and switch on and off with simple smartphone apps. Electrochromic films use technology similar to an LCD display, which uses liquid crystals, under precise electronic control, to change how much light can get through. When the current is switched on, the crystals line up like opening blinds, allowing light to stream straight through; switched off, the crystals orient themselves randomly, scattering any light passing through in random directions, so making the windows turn opaque. The performance is impressive. According to Smart Tint, its films transmit about 98 percent of light when they're clear and switch in less than a second to their opaque state, when the light they let through drops to about a third; they've been tested to switch back and forth over 3 million times. Animation: How an electrochromic film works: The film contains liquid crystals (blue). When the current is switched off, the crystals point in random directions and scatter incoming light, turning the film opaque. When the current switches on, the crystals align like opening blinds, letting virtually all the light through. What's good and bad about electrochromic windows? Smart windows might sound like a gimmick, but they have a huge environmental benefit. In their darkened state, they reflect back virtually all (about 98 percent of) the light falling on them, so they can dramatically reduce the need for air-conditioning (both the huge cost of installing it and the day-to-day cost of running it). (View Glass, one manufacturer, estimates electrochromic glass can cut peak energy use for cooling and lighting by around 20 percent.) Since they're electrically operated, they can easily be controlled by a smart-home system or a sunlight sensor, whether there are people inside the building or not. According to scientists at the US Department of Energy's National Renewable Energy Laboratory (NREL), windows like this could save up to 8 percent of a building's total energy consumption; they use only tiny amounts of electricity to switch from dark to light (100 windows use about as much energy as a single incandescent lamp) so make a huge net energy saving overall. Other benefits of smart windows include privacy at the flick of a switch (no more fumbling around with clumsy, dusty curtains and blinds), convenience (automatically darkening windows can save your upholstery and pictures from fading), and improved security (electrically operated curtains are notoriously unreliable). Photo: Hot stuff! 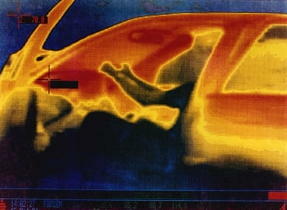 This thermal (infrared) image shows how hot a car gets when you park it in direct sunlight: colors indicate temperatures with red and yellow hottest and blue coldest. Electrochromic glass fitted to a car might help to solve this problem. You'd simply flick a switch to darken the windows when you parked and the vehicle would be nice and cool when you came back! Photo courtesy of US Department of Energy. It's a given that glass printed with electrodes and fancy metal coatings is going to be several times more expensive to install than ordinary glass: a single large smart window typically comes in at around $500–1000 dollars (about $500–1000 per square meter or $50–100) per square foot). There are also questions about how durable the materials are, with current windows degrading in performance after only 10–20 years (a much shorter life than most homeowners would expect from traditional glazing). Another drawback of current windows is the time they take to change from clear to opaque and back again. Some technologies can take minutes, though stick-on electrochromic films are much faster, changing from clear to opaque and back in less than a second. How will smart windows improve in future? Another possibility might be to combine electrochromic windows and solar cells so that instead of uselessly reflecting away sunlight, darkened smart windows could soak up that energy and store it for later. It's easy to imagine windows that capture some of the solar energy falling on them during the day and store it in batteries that can power lights inside your home at night, though, of course, a window can't be 100 percent transparent and working as a 100 percent efficient solar panel at the same time. The incoming energy is either transmitted through the glass or absorbed and stored, but not both. A window that doubled as a solar cell would likely involve compromise from both sides: it'd be a relatively dark window even when clear and much less efficient at capturing energy than a really good solar cell. One thing we can be sure of is seeing much more of electrochromic technology in future! Do moving lithium ions sound a little bit familiar? If you know a little bit about technology, the idea of an electronic sandwich that works by shuttling lithium ions back and forth between layers might just ring a bell: it's exactly the same principle we use in rechargeable lithium-ion batteries (the ones in laptops, cellphones, and most electric cars)! Photo: A lithium-ion battery works in a very similar way to an electrochromic window. In a battery, we use an electric current to move the lithium ions from one layer to another, so storing up energy; when the ions move back again, they release the stored energy, usually over a period of several hours, powering your laptop, cellphone, or other portable device. When it comes to batteries, we're looking to store as much energy as possible, for as long as possible, which means a lot of lithium ions and a very chunky device. On the other hand, when we're interested in making electrochromic windows, we're much more interested in optics. Which layer the lithium ions are in determines how much light passes through but, either way, the layers need to be extremely thin or the device won't function as a window at all. Relatively few ions move in electrochromic windows, compared to lithium-ion batteries: windows need to dark or lighten in seconds or minutes, not the three to four hours that a laptop battery takes to charge! 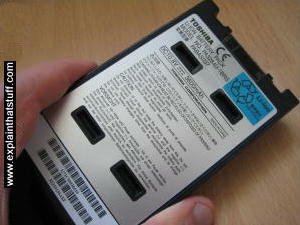 The very strong similarity between lithium-ion batteries and electrochromic windows is no coincidence; if you check out Floyd Arntz et al's 1992 patent Methods for Manufacturing Solid State Ionic Devices, the very first sentence gives the game away, noting that their invention is a "device usable as an electrochromic window and/or as a rechargeable battery." According to these authors, broadly the same manufacturing methods can be used in both cases. Nanostructured Glass Can Switch Between Blocking Heat and Blocking Light by Dexter Johnson. IEEE Spectrum, July 23, 2015. University of Texas researchers develop faster-switching electrochromic glass. Race for Electronically-Tinted Windows Heats Up by Martin LaMonica. IEEE Spectrum, June 18, 2013. Corning places its bet on electrochromic glass. Chameleon Material Can Switch Between Three Colors by Aaron Rowe. Wired, April 20, 2007. Korean researchers develop a material that flips its color when you change the current flowing into it. 'Smart' sunglasses and goggles let users adjust shade and color by Hannah Hickey. University of Washington Today, March 29, 2007. How UW researchers have used electrochromic glasses to develop sunglasses that can change color or shade under push-button control! What's an electrochromic false nail? : The Guardian, November 13, 2003: Spanish researchers develop electrochromic fingernails that can change color at the touch of a switch! Progress toward durable, cost effective electrochromic window glazings by N.Sbar et al, Solar Energy Materials and Solar Cells Volume 56, Issues 3–4, 30 January 1999, Pages 321–341. Electrochromic Materials and Devices by Roger J. Mortimer, David R. Rosseinsky, and Paul M. S. Monk (eds). John Wiley & Sons, 2015. The first part of this book focuses on electrochromic materials and how they're made; the second part covers practical applications and case studies. Electrochromism: Fundamentals and Applications by Paul M. S. Monk, Roger J. Mortimer, and David R. Rosseinsky. John Wiley & Sons, 2008. Covers the physics and chemistry of electrochromism and applications ranging from windows to security. Electrochromic Materials and Applications: Proceedings of the International Symposium by Aline Rougier et al (eds). The Electrochemical Society, 2003. A large collection of recent papers from an international conference on the topic. Smart Tint is a registered trademark of Smart Tint, Inc.